With a goal of launching 60 successful space startups over the next five years, Ross says CDL plans to build a network of corporate partners, space agencies, astronauts, investors and seasoned entrepreneurs who can support these “really amazing PhD or master’s level students who want to commercialize their research” in the space realm. 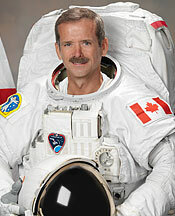 A key ingredient will be the stream’s fellows – starting with Hadfield, one of Canada’s most accomplished astronauts and a founding fellow. The Sarnia, Ont., native has served in a variety of roles at NASA including as commander of the International Space Station, making him the first Canadian to command a spaceship. He will be joined at CDL by Anousheh Ansari, the co-founder of the Ansari X-Prize and the first self-funded woman to fly in space, and Christine Tovee, the former CTO of Airbus Group North America. CDL’s space stream is the latest to be added to its rapidly expanding portfolio. The accelerator, one of nine at U of T, already boasts a dedicated stream for artificial intelligence companies and last year launched a stream focused on the nascent field of quantum machine learning. At the same time, the CDL model – which sees seasoned entrepreneurs and investors work with startups to set and meet goals – is experiencing significant growth after signing partnership deals with other Canadian business schools and New York University’s Stern School of Business. CDL’s foray into the stars comes at a time when ventures like Elon Musk’s SpaceX are generating excitement about the private sector’s future role in space. Nearly US$1 billion was raised by space companies during the first three months of this year in areas that spanned launch technologies, satellites and “in-space industrials,” according to a recent report by American venture fund Space Angels. There are already a few U of T researchers who have dared to go where few entrepreneurs have gone before. Earlier this year, Kepler Communications successfully deployed its first nanosatellite aboard a Chinese rocket. The CDL startup, co-founded by U of T alumni Mina Mitry and Jeffrey Osborne, seeks to build out a constellation of low cost satellites to provide data communications links between connected devices on Earth and, eventually, in space. o what kind of space startups is CDL hoping to produce? Ross lists a variety of areas that have significant potential including: space mining, interplanetary transportation, space robotics, habitat construction, launching and propulsion technologies and the design of new radiation-resistant materials. While CDL anticipates its entrepreneurs will tackle a myriad of big, hard-to-solve problems associated with space, Ross noted there are also near-term opportunities to apply space-oriented technologies closer to home. One example might be a space mining startup that uses satellite data to pinpoint new mineral deposits back here on Earth. While applications for the nine-month program close on Aug. 10, Ross says CDL has already reached out to researchers and entrepreneurs around the globe to gauge interest and has received an enthusiastic response. “Having access to someone like Chris or Anousheh Ansari is so valuable to these companies,” Ross says.